These incredibly sweet, organically grown bananas are grown here at Finca Santa Marta. 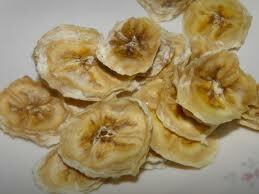 When they are at the peak of ripeness, we peel, slice and dehydrate. They turn into mouth-watering, sweet, chewy treats that are actually good for you.